Are you looking around for an automotive hauling insurance? By now you probably know that not all insurance companies offer automotive hauling insurance. That’s because there are added risks and liabilities associated with hauling of cars. Strong Tie Insurance is just one of the few insurance companies that offer this kind of coverage. They understand your needs as a car carrier and will assist with complying all the requirements at a very affordable price. You can request the company for cheap truck insurance quotes and have them customize the policy according to your needs and requirements. You must have a full comprehension of all the risks involved in automotive hauling so just in case you request for a customized insurance quote, all your basic needs will be covered. According to a survey done with other trucking companies, these are the common risks they encounter in hauling cars. Clearance Risks – Automotive haulers have extra high cargo loads in order to fit more cars on the trailer and to make sure the vehicles are fully protected during its transit. You might damage the vehicles or even get involved in an accident if you are not monitoring your clearance. Most car insurance companies do not provide coverage for this kind of accident or carry policies that do. Damage on new cars. – When hauling new vehicles there is a huge risk. This is caused by the significant difference between its costs to repair the damage to the new vehicle that was incurred during its transport against the reduced amount upon its sale after it has been fixed. This is cause for it to be considered no longer brand new in its condition. In some cases, some insurance companies will only be paying for the actual repair costs and the rest will be shouldered by the trucking company. If this happens to several cars in one single haul, this could tantamount to a great deal of money. What makes it worse is that some car companies will insist that the car is totally damaged if it incurs a certain damage that could lead them to a liability if the buyer of the car gets into an accident. It is for this reason that you should discuss these incidents to the insurance agent just to make sure you are getting the proper coverage that will protect your company from the actual loss that you will incur and not just the cost of the car repair. Theft – Brand new cars is one of the favorite targets of thieves and they may attempt to steal the entire fleet or raid them for specific motor parts. Unattended vehicles can pose a huge problem and several insurance companies will not insure auto theft from a hauler truck that was neglected even for a short time. They will even exclude this in your policy or will only cover the cost if you took “reasonable” steps to protect the vehicles. Now each company has their definition of “reasonable”. Ask your agent if vandalism or theft is actually included in their insurance policy and define what in their terms is “reasonable measures”. Now that you are aware of all the possible risks that you will obtain as an automotive hauler, you can now define the kind of policy and coverage that you need. 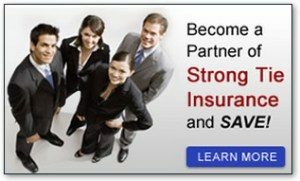 If costs for the insurance will still be a consideration, you can set up an appointment with STI insurance so you can request for cheap commercial truck insurance quotation and its full coverage.